How bad is this multi-year drought? 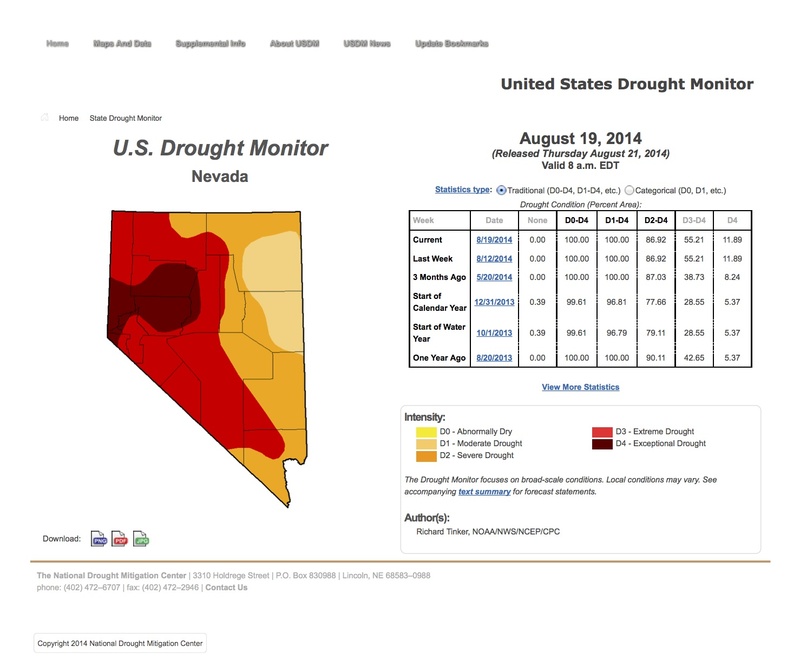 With 67% of Nevada in either “extreme” or “exceptional” drought – the two most severe drought categories – it’s bad. For western Nevada rivers and the fish and wildlife, farmers, and western Nevada city folk dependent on those rivers, it is even worse. The Truckee River watershed in western Nevada and eastern California’s Sierra is firmly in the grip of an “exceptional” drought according to the U.S. Drought Monitor. If you live in Washoe County, chances are you have gotten a notice in your most recent TMWA (Truckee Meadows Water Authority) bill to “Please reduce your watering by 10% and use water responsibly this summer.” As I’ve written before, I’m concerned that the message really doesn’t make much of an impact and doesn’t really address the severe problems of the over-allocation of water resources in western Nevada. 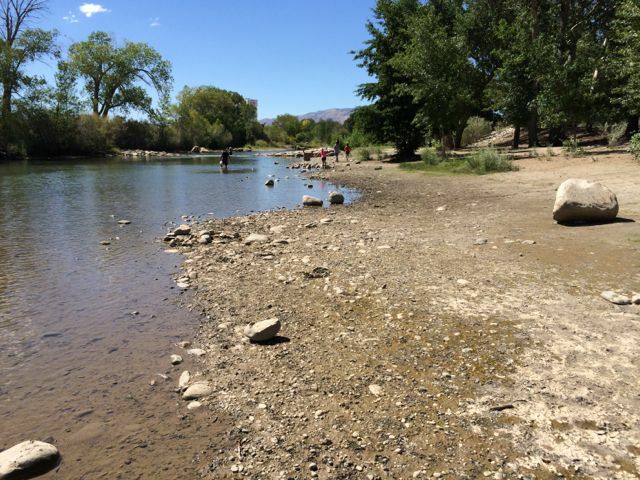 Low flows at Rock Park on the Truckee River August 18, 2014. Some of us in the Truckee Meadows got a nice break from the not-to-dependable northern Nevada monsoon rain which aided our yards and gardens. But it didn’t break the drought – not by a long shot. 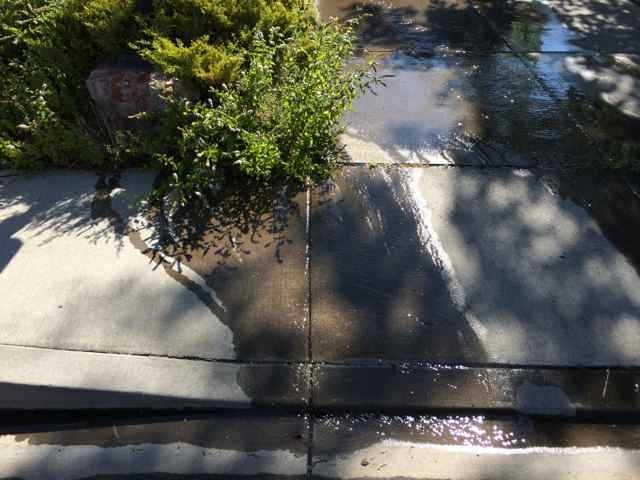 While some of us did take advantage of the rain and turned off our sprinklers for a week and a half, mostly folks continued to water as if there was no rain at all – including sending water down the gutter aplenty, TMWA’s message notwithstanding. 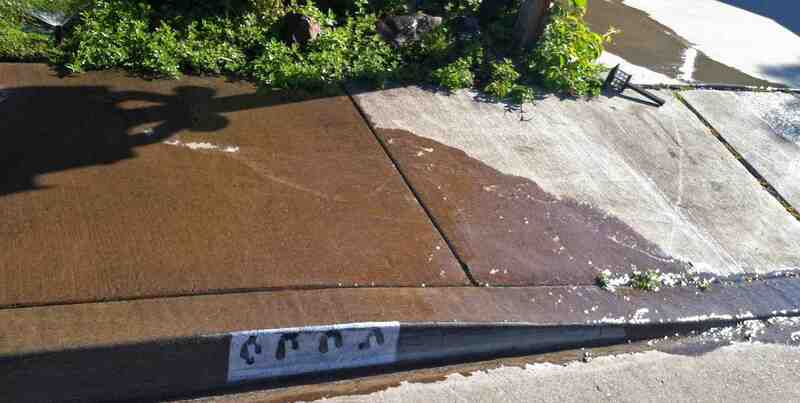 Water pours into the gutter from excessive watering in August 2014. The message from TMWA is a weak one. TMWA says it has plenty of water in storage and we should not worry. Asking for us to voluntarily reduce our use by 10% and “water responsibly this summer” is hardly responsive to the current drought and its severity. Should we be watering “irresponsibly” when summer ends? How about next summer? last summer? It seems like an odd message at best. And, it doesn’t say anything about efficiency or conservation. Rather, it implies that efficient use and, heaven forbid, conservation, isn’t needed here in the Truckee Meadows when it comes to outdoor watering unless TMWA is using its drought reserves. TMWA argues that we should “reduce” our use because now we’re using our drought supplies in two upstream reservoirs (Donner and Independence Lakes). Water in these reservoirs doesn’t have to be released until there is a “need”. Before the end of July TMWA was just using “rights” to the flows in the Truckee River which were running around 500 CFS at Farad, California. 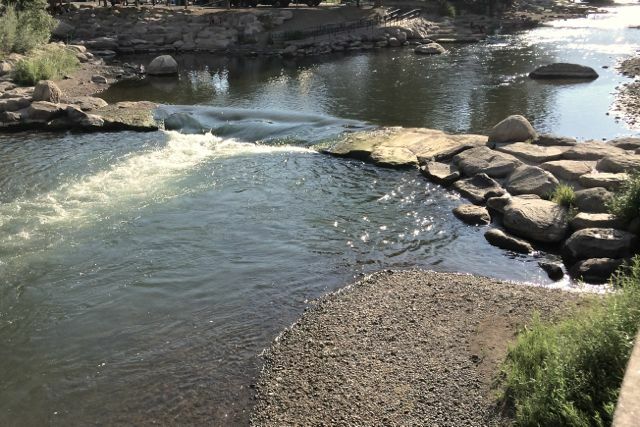 That “water right” to take water from the Truckee River became just a “paper water right” when the flows dropped off – because, the water simply isn’t there. So, to be able to take water from the river, TMWA must release stored water into the Truckee River from its drought reserves or pump more from wells in the Truckee Meadows. TMWA argues that is why these reservoirs are there – namely, to handle droughts and they’ll fill again even if the drought continues as long as customers reduce outdoor use 10% and do nothing to conserve water indoors. Efficiency and conservation are mentioned in the context of indoor watering, and here, TMWA says, there is no more to be done, thank you very much. What is needed, as I’ve written before, is a short and long-term plan to encourage indoor water efficiency and outdoor water conservation through water efficient plantings and the reduction of lawns — you know, turf. This should be encouraged not only to conserve Truckee River flows to benefit fish and wildlife, but also to keep our lakes and reservoirs as full as possible to keep our recreation economy afloat during dry times – like now. The lakes and rivers we all love can’t be healthy as long as we stress them during both good times and bad. Can TMWA rise to the occasion and call for water efficiency and conservation as a simple fact of living in one of the driest places on earth? TMWA’s conservation web pages do discuss good ways to conserve water and there is a guide to establishing a yard that conserves water. Is there any incentive for a home owner to follow these suggestions? TMWA and its governing boards aren’t encouraging conservation through rates or other incentives. Rates are a complicated matter and most people probably pay little attention to how much their water bill is – perhaps because it is less than their cell, telephone, or cable bills. While this topic is deserving of it’s own two or three articles, here is a brief explanation of how residential customers of TMWA get charged for their water and why it doesn’t encourage conservation. Unlike many western desert cities, TMWA has only a 3 “tier” residential rate structure (see sidebar on below). Residential customers in a single billing period are charged $1.72 for the first 6,000 gallons of water or “tier 1”; $2.78 for 6001-25,000 gallons or “tier 2”; $3.25 for all usage over 25,001 gallons or “tier 3”. “Base” water use is considered 6,000 gallons or less per family or household per billing period. The 3rd tier doesn’t kick in until your water use exceeds 25,000 gallons in a billing period (typically 30 days or so). And while the percent increase in water cost between tier 1 and tier 2 is a significant 62%, the difference in charges between water usage in the 2nd and 3rd tier amount to a only a far smaller 17% increase in cost per 1000 gallons. The other obvious problem for conservation? Use in tier 3 can be 25,001 gallons or 250,000 gallons or 2,500,000 gallons and the rate stays the same. Effectively, the largest water users aren’t penalized for using lots and lots of water. Is that a way to achieve “responsible” use of water? Does this rate structure encourage conservation of water and wise use of water? Not so much. Will TMWA customers reduce their use by 10%? They may, but all of us can do much better. One reason there isn’t noticeable water conservation in the Truckee Meadows is that a serious conservation message from our water agency and its governing board is mostly non-existent. That needs to change. Tap out > After three dry winters, Truckee Meadows Water Authority will be tapping into our drought reserves this summer. This entry was posted in Conserve, Keep it flowing on August 29, 2014 by Dennis Ghiglieri. Ever wonder why the Truckee River looks … well … bruised and abused once it gets to Nevada? The damage to the river’s native trout and bird life has been 150 years in the making. Today, we’re living with the consequences of decisions to divert flows and, literally, straighten out the Truckee River that were made by the first settlers to the area and subsequent generations – both good and bad. But we had and still have a chance to do things right by the river we all love. You can find all of Bruce’s loaned articles (© Bruce Bledsoe, 2014) on our website under Resources and see all the Chapter title’s of Bruce’s book there as well. And while you’re looking around don’t miss all the other posted tidbits from the Pyramid Lake water elevations of the 21st century to the Truckee River Watershed Map (produced by the Nature Conservancy). 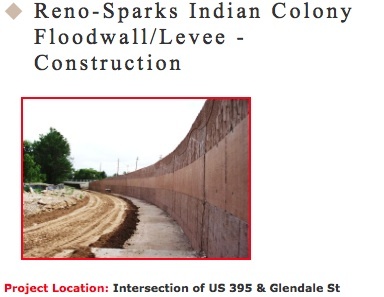 This entry was posted in Flood Project, River Restoration on August 20, 2014 by Dennis Ghiglieri. At the end of July, flows in the Truckee were reduced to 200 CFS at Farad in California from 500 CFS earlier in the month. As promised in an early summer opinion piece, the Truckee Meadows Water Authority (TMWA) CEO requested that residents in the greater Reno-Sparks area reduce water usage by 10%. Going along with TMWA’s call, the Reno-Gazette Journal editorialized that we need to cutback to preserve our drought storage in TMWA’s privately owned reservoirs such as Independence Lake. Truckee River nearing a flow of 100 cfs on August 1, 2014. While we certainly agree that residents need to cutback in water use, these calls for a 10% reduction are too little too late. We all treat water conservation in our community, unfortunately, as a “work-in-progress” required only because of the “drought” – as an unwelcome, distasteful footnote to daily life. The reality that we have a perpetual “drought” simply because we live in one of the driest places on earth is rarely mentioned as a prime reason to conserve and efficiently use water. With an annual precipitation amount barely 7″ a year, Reno falls squarely in the category of a true desert. 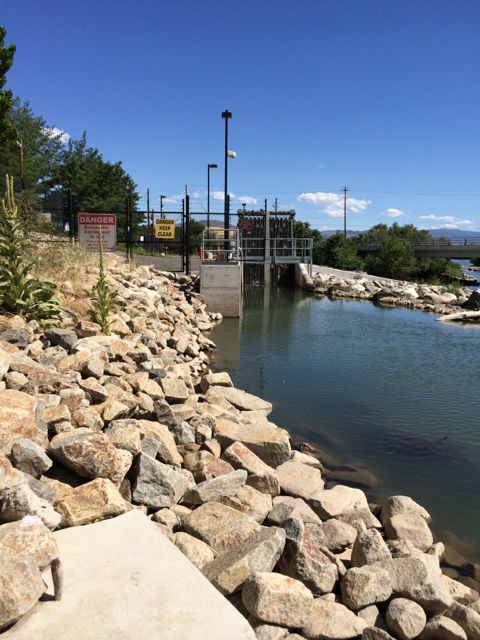 As a consequence of the diversion of water to the Chalk Bluff Water Treatment Facility in northwest Reno, flows in the Truckee River through the city are now reduced to 100 CFS. The Chalk Bluff Water Treatment Facility provides water to a good portion of the city and water diverted from the River to this facility goes through a large pipeline to Stead, too. Water supply plants remove more water for the Sparks area reducing the river to a trickle and the real possibility that the river could soon dry up above the regional sewer treatment plant for at least a couple of miles. With Truckee River flows so low, diversions from the river to the many area ditches are stopped resulting in many dry ditches. Recently, fish were being transported from the drying ditches to ponds to prevent them from dying from the loss of water. Many residents probably aren’t aware that Virginia Lake, Paradise Ponds, Manzanita Lake (at the University), Herman Pond (at Rancho San Rafael), Fuller Lake (Lakeridge) all get water from the Truckee River through ditches. Once the river flows decrease due to loss of storage in reservoirs in California, no more water is available to fill the water rights associated with these ditches. That’s not a 10% cutback. It’s not a 50% cutback. It is 100%. No water, period. In the last fourteen years, we’ve had 11 years drier than the “long-term average”. Yet, we are only now hearing any call for conservation. Are residents being lulled into a false sense of security? How will our public officials and water agency respond when another dry year could result in a water shortage crisis? Is this responsible water management? What happens to the natural water features which make this area attractive to visitors and residents alike? Our entire region has relied on the “wet” year to make up for our over-use of the Truckee River and tributary streams and lakes every year. Too many leaders of our communities remain unconcerned as our area’s natural lakes suffer under a perpetual man-made drought. We’ve come a long way in the last 25 years working to improve and enhance the Truckee River, Pyramid Lake, and Lake Tahoe. Conservation and efficient use of water throughout the region must be added to our efforts. We need an efficiency and conservation oriented water agency to accomplish new and achievable conservation goals. Conservation needs to become not just a once-in-a-while call from an agency CEO and instead be ingrained into our daily life. Saving water needs to be couched in different terms than simply a burden on hard-working families. 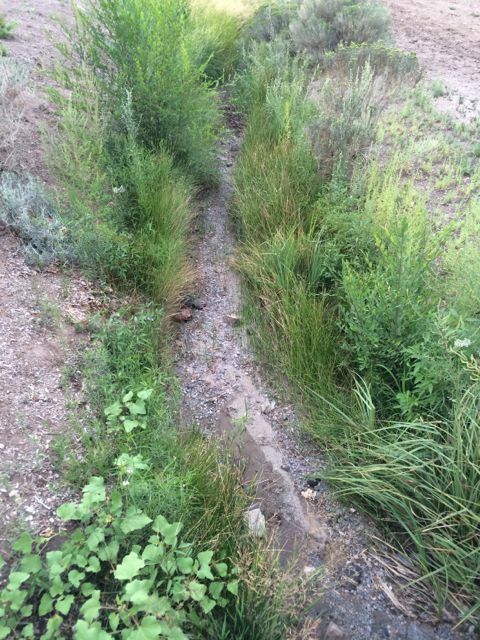 Is it a “cutback” in our water use or is it a way to preserve flows in the river? Is it a slightly browner lawn or an opportunity to see an extra foot of water elevation at Pyramid Lake? Is it a problem that your front lawn isn’t bright green on a 105 degree day or an opportunity to put in front yard landscape that doesn’t require weekly mowing? So far our community has approached conservation as a “problem” requiring “cutbacks”. That is exactly the wrong approach. Water conservation must be a way of life in the desert and we should not forget that we live in a desert. 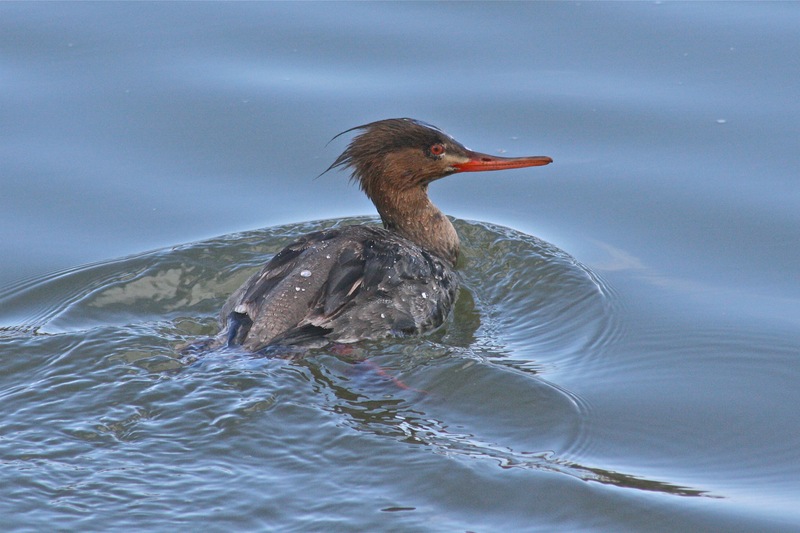 Common Merganser (female) can be found on the Truckee RIver during the winter and spring months. This entry was posted in Conserve, Keep it flowing on August 8, 2014 by Dennis Ghiglieri. 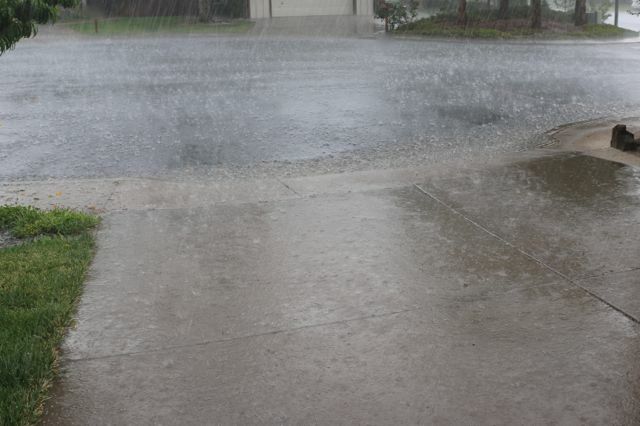 In northwest Reno I’ve gotten about 1/2″ of rain from this rainstorm surprise. That, combined with cool weather, means it is a good time to cancel your sprinklers for a couple of water days. I’m going for it. You should, too. Water running off automatic sprinkler system – a common sight throughout Truckee Meadows. This entry was posted in Conserve on August 5, 2014 by Dennis Ghiglieri.